Voice Coach: Been There Done That, Got the T-Shirt Wrote the Book! Literally, I’ve been there done that, got the t-shirt wrote the book 101 Letters from a Vocal Coach. With a tinge of melancholy, I sense coming full circle in the true sense of the word. On this blog you’ll find tons of information on how to become a better singer, and you’ll also find links to bookstores Amazon, Barnes & Noble and Lulu where you can purchase my new book in paperback. It has been a truly exciting journey for me thus far, from the moment I began voice coaching it has been an incredible roller-coaster ride that has brought out the beast in me where teaching is concerned; and not to mention the handy tips, information and training to so many people around Africa and even the world. I ask that you spend a bit of time on here to browse through my articles and to absorb the information contained herein. You'll find that there's something for everyone that wants to learn to sing. Better yet, my book 101 Letters from a Vocal Coach sums up all of the passion and hard work I put into this... and I did it all for you! So, make darned sure you get your hands on all the handy tips for singers you'll ever want—in paperback! 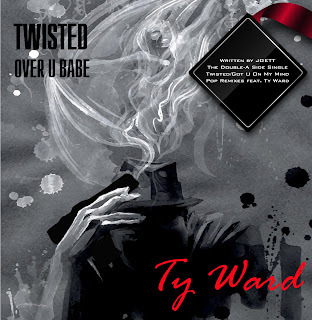 Purchase a copy of my new book from Amazon, Barnes & Noble or Lulu TODAY! 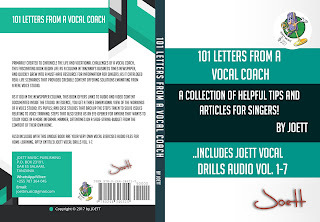 For those of you based on the African continent, please read 3 Simple Steps to Purchasing Online, the Book "101 Letters from a Vocal Coach" in Paperback from Africa. To order my book from Tanzania in local currency, the platform to facilitate that is EasyBuyAfrica. You'll find details here. 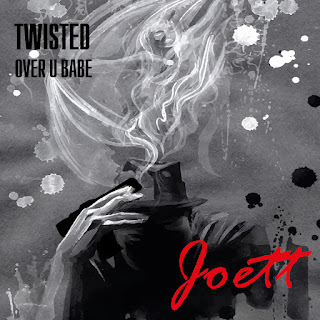 Distributed by London-based Africori, the acoustic pop EP Twisted by Joett is now available from all major download/stream platforms: iTunes, Apple Music, Deezer, Google Play, Tidal, Amazon, Akazoo and Spotify. Download/Stream Twisted EP here. You'll find the Press Release here! Download the NEW Double-A Side Pop Remixes single Twisted/Got U On My Mind featuring—exclusively, the soulful vocals of American singer Ty Ward here. If you are home-learning how to sing, especially, it is important that you pay attention to examples given, be they on tape or written. I know it can get a little overwhelming at times to have to take on all of this information, but it does help tremendously in the learning process when you know what needs to be done to achieve your goals. I’ve noticed a tendency to be a little bit overzealous among you—which is fine, but do your best not to ignore instruction. It costs dearly when you do. And so when you’re listening to instruction tape or reading, try to make sure you understand what’s being said. And if it isn’t registering, take a pause to listen or read again. 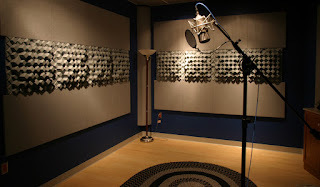 In the case of audio tapes and the vocal exercise demonstration, try to match what is being done. Listen to the voice. Try to analyze the voice demonstrating the exercise. That way, you’ll come away with something that’ll take you a step farther to becoming a better singer. 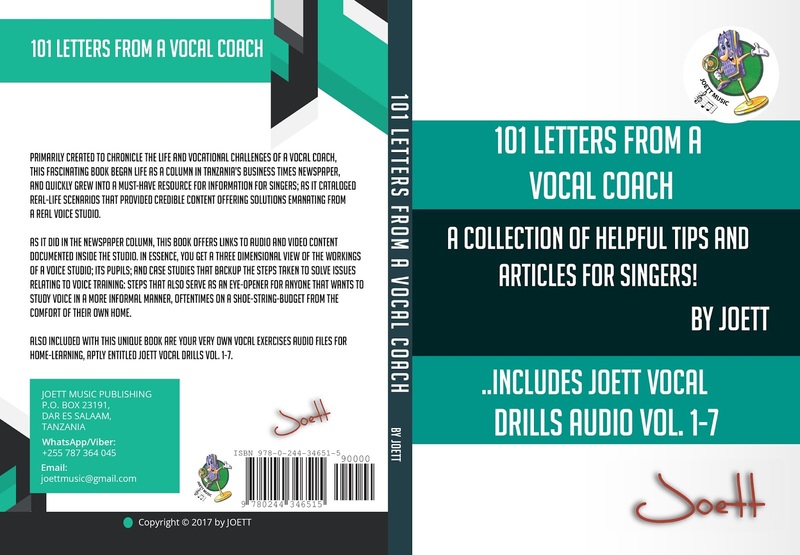 You’ll find plenty more tips in my new book 101 Letters from a Vocal Coach, available now in paperback from Amazon, Barnes & Noble and Lulu.